Home » Baby » Is it Dangerous if Baby Has the Umbilical Cord Around their Neck? The umbilical cord is vital for a fetus in the womb. It attaches the baby’s abdomen (where its belly button will eventually be) to the placenta and provides nutrients, oxygen and blood to the fetus. Sometimes the cord can become wrapped around the baby’s neck while in the womb. This is called a nuchal cord. It’s actually very common and not as scary as it sounds. If you’re worried about your baby’s umbilical cord being around their neck during pregnancy or labor, read on to find out why it happens; what it means for your baby in the womb; and what might happen during birth. The main reason why a baby’s umbilical cord might wrap around their neck is because of the baby’s movement in the womb. A growing fetus turns, wriggles and rolls and this sometimes results in the cord moving around the neck. There are a few factors which might increase the chances of a nuchal cord, including having a long umbilical cord or excess amniotic fluid. More fluid means more room to move. Most parents don’t know that their baby’s cord is around its neck until birth. Occasionally it’s possible to see a nuchal cord on an ultrasound scan; but there is no benefit to knowing early, because there’s no way to unwind the cord before the baby is born. A nuchal cord has no obvious symptoms. It’s impossible for a mother to tell if her baby’s cord is wrapped around its neck. Nuchal cords are divided into two categories: Type A Nuchal Cords and Type B Nuchal Cords. Type A means that the cord is wrapped very loosely around the neck. There is a good chance that it can become unwrapped on its own through the natural movement of the fetus in the womb, and it rarely causes problems for baby or mother. Type A Nuchal Cords occur in approximately 21% of all pregnancies. Type B is less common, occurring in around 6% of pregnancies. It means that the cord is wrapped more tightly around the baby’s neck. Studies show that this usually doesn’t carry a significantly increased risk of complications. In very rare cases a nuchal cord in the womb can cut off a baby’s blood supply and cause a stillbirth. Although likely all potential pregnancy complications this can be a very scary thought for a new mom, do remember that it is very uncommon. Because complications are so rare, the most important thing for you to do if a nuchal cord has been diagnosed by ultrasound is to stay calm. If you feel very stressed or anxious, make sure you discuss your worries with your physician or midwife. They should be able to put your mind at rest and answer any questions you may have. 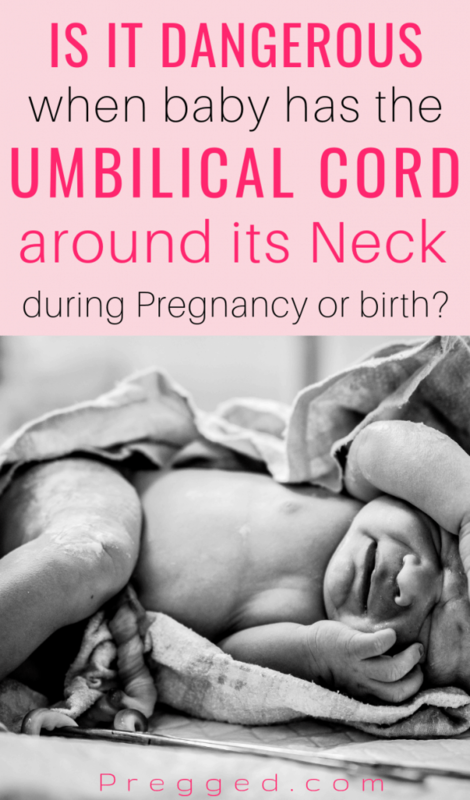 WHAT HAPPENS IF THE UMBILICAL CORD IS AROUND THE NECK DURING LABOR AND BIRTH? It is estimated that 20-30 percent of babies have a nuchal cord at birth. And in 2018 a study published in the American Journal of Obstetrics reported that the majority of these babies do not suffer from any negative effects. In most births, the delivery team don’t know that a baby has its cord wrapped around its neck until the head has been delivered. So the doctor or midwife will usually check for a nuchal cord once the head is out. If the baby does have a nuchal cord and it’s loose enough, the doctor will slip it over the baby’s head. This is simple and painless for mom and baby. If the cord is too tight to slip over the head, occasionally the doctor or midwife might clamp and cut the cord before the baby’s shoulders are delivered. This is much less common but it is a straightforward procedure which prevents further complications. For example, it stops the cord from becoming even tighter during delivery, or from tearing away from the placenta which could cause bleeding. During labor, your baby’s heart rate will be monitored in order to keep an eye on how they’re doing. In some cases, a nuchal cord can mean that the umbilical cord becomes compressed during contractions. Because the cord provides the baby’s oxygen and blood supply this can cause the heart rate to drop. If this happens you will usually be supported into different laboring positions first to see if a new position reduces the compression of the cord and stabilizes the baby’s heart rate. 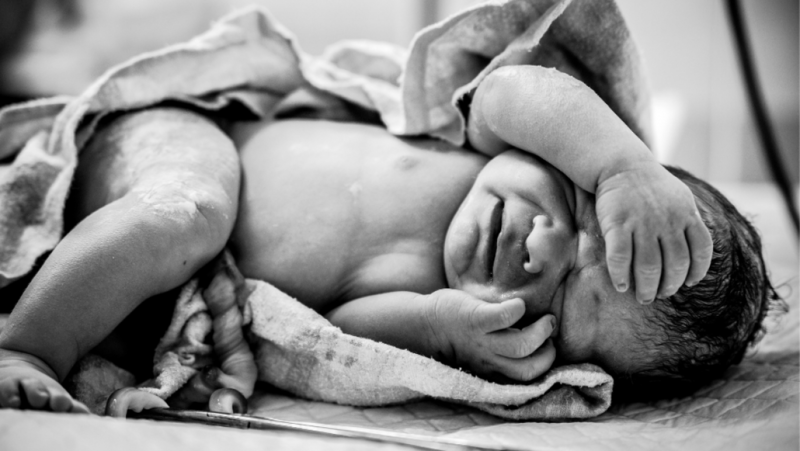 If changing positions doesn’t improve the heart rate and your healthcare team are concerned they might decide to suggest an emergency cesarean section (EMCS). This means that your baby can be delivered quickly and safely, preventing them from becoming distressed or unwell. Remember that nuchal cords are common and usually harmless. As your pregnancy progresses and you begin to feel your baby moving regularly, one of the best things you can do to monitor and protect their health is to get to know their normal movement patterns. This isn’t complicated and lots of moms do it without even trying! Simply notice when your baby usually moves, and how strong their movements tend to be. Being aware of your baby’s movement means that if it changes suddenly you will notice. If you do notice any changes in fetal movement call your doctor’s office or hospital straight away. They will tell you if they think you need to come in to check your baby’s heart rate. In those very rare cases when a nuchal cord occurs in the womb and does start to affect the baby, or other unrelated complications are happening, reduced movement could be a sign that baby needs help. Getting familiar with the way your baby moves also helps you to feel connected and bond with them. So take your time to notice the kicks and rolls and you’ll be doing the best you can for your baby. 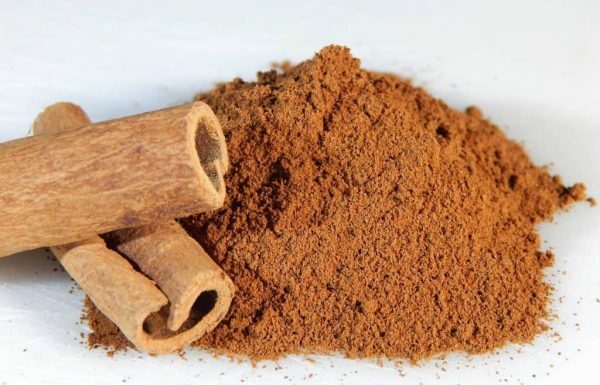 Can Eating Cinnamon Cause Miscarriage?